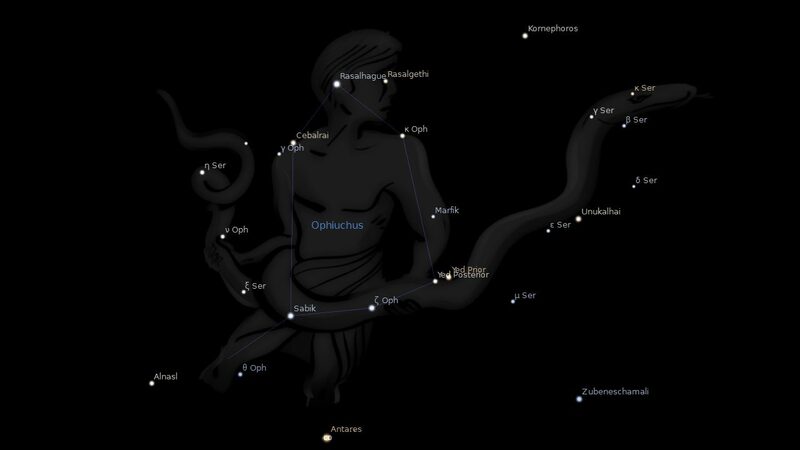 Fixed star Sabik, Eta Ophiuchi, is a 2.4 magnitude bluish white star located on the right knee of the Serpent Bearer, Ophiuchus Constellation. The name Sabik is of Arabic origin meaning preceding (knee?). Sabik is also a Filipino word meaning anxious. 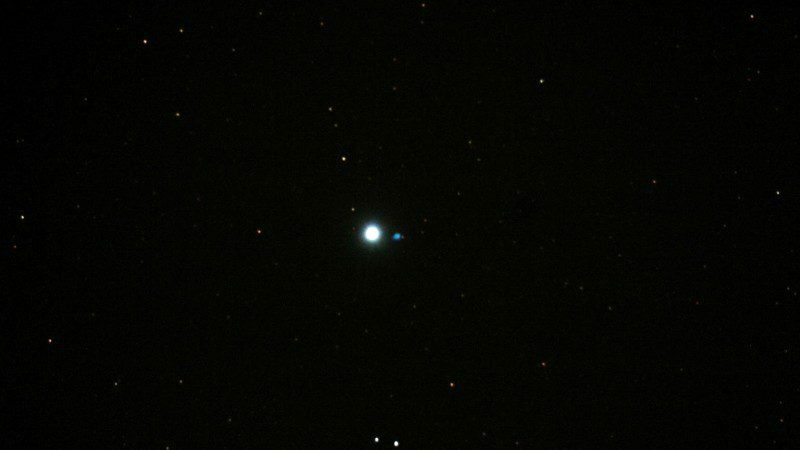 Sabik is the northern pole star of the planet Uranus. 1. Fixed Stars and Constellations in Astrology, Vivian E. Robson, 1923, p.54, 199. 2. Fixed Stars and Judicial Astrology, George Noonan, 1990, p.22. 3. The Living Stars, Dr. Eric Morse, 1988, p.157. 4. The Fixed Star Health and Behavior Imbalance, Ted George and Barbara Parker, 1985, p.109. If my natal neptune is at 19.54 Sagittarius (5 house), would it be in conjunction to Sabik? Would all of this be related to the house in which is located? I mean for example highly sensitive, psychic strong in matters of the fifth house – romance, children, hobbies, creativity …. It’s a close thing with the 2 degree orb. Plus you have to take away the precession correction value from it’s year 2000 position. For example, if you were born in 1980 then you would have to minus 17′. leaving Sabik at 17°41′. Also, Any fixed star conjunction will play out through the planet, not a house which is an imaginary human construct. Any effect houses do have is based on the energy of communal human imagination, or brainwashing. Does that mean my second house is affected? Looks like it’s sitting right on Sabik. I lost everything a few years ago (dark night of the soul) so could that be why? Hi Queenie, house cusps other then the cardinal axis’are not affected by fixed stars. Check out your Ascendant conjunct Rasalhague. Very interesting considering your interest in snakes. And yes, Sun on Sabik is a good influence. Gals to see the stars have tweaked your interest! Yes, a snake charmer or herpetologist. Interesting you attract users because these stars also indicate a healer, doctor. wow! thanks Jamie 🙂 You rock!!! Hi Jamie! What does it means if it’s exact conjunction on my Descendant? When there is no specific interpretation I stick to the general description, in this case applying it to your partners. If I have it conjunct Pluto and in the money house, with hard aspects to both Moon and Saturn–that cannot be lucky for my bank account, right? I don’t use Houses Galina. I always look to Venus for money matters. I have moon in conjunction with sabik. leo rising, sag moon pisces sun. i feel like i have to become sucessful and i have to become wealthy! Can i still ?